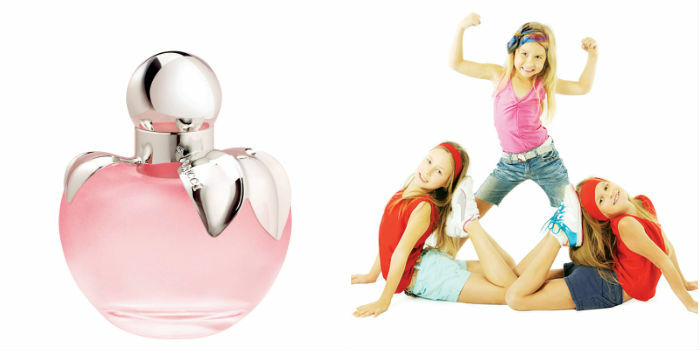 Sisterhood comes first for the famous Olsen twins, Mary Kate and Ashley. At 25 years, Elizabeth Olsen, their younger sister, is an actress and singer, best known for her role in Silent House, and her part in the critically-acclaimed movie, Martha Marcy May Marlene. She will soon be seen in Avengers: Age of Ultron, where she plays the Scarlet Witch. 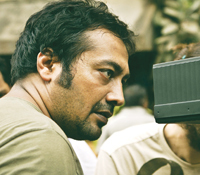 The film is set to release in 2015. These days, the Olsen sisters enjoy working together off-screen too. Elizabeth helps her sisters design clothes for their fashion line, and the three can often be seen together shopping in LA. While the media is busy ridiculing Miley Cyrus, her elder sister, Brandi, has got her back. The 26-year-old has only positive things to say about the pop star.A� a�?I think Miley is getting a chance to be who she really is now, after years of having to be a fictional character on TV,a�? said Brandi, referring to her sistera��s role in and as Hannah Montana. Generally considered to be the more mature and serene of the two, Brandi has appeared in a few uncredited television serials and movies. She will soon be seen in Old 37, a horror film that also stars Kane Hodder and Bill Moseley. James and Dave Franco are the only boys on this list. In a recent interview, Dave said, a�?As much as I love him and want to work with him, I want to separate myself from him.a��a�� Best known for his roles in 21 Jump Street and Warm Bodies, Dave has his hands full with several movies this yeara��Neighbors, 22 Jump Street, Business Trip and Now You See Me 2. In-N-Out Burger,a�? said Vera in a recent interview. rose to stardom separately. While Lindsay needs no introduction, younger sister Ali tasted fame as a model, singer and songwriter. Having modelled from the age of three, Ali signed with NEXT models and went on to do covers for magazines like Cosmo Girl and Fault Magazine. Her musical career includes a Christmas album, Lohan Holiday, and a single, All the Way Around, which released in 2009. For now, the younger siblingA� will be seen in Lindsay, a documentary miniseries. 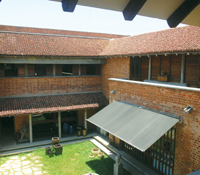 As part of World Museum Day, DakshinaChitra is organising a painting exhibition, Museum Collections Make Connections, by renowned artist Veerasanthanam. His paintings mostly depict stories from mythology and murals from temples. At DakshinaChitra, till May 31, from 10 am onwards. Art, home dA�cor, European cuisine, and a scenic beach thata��s a quick drive away. Thata��s what youa��ll get at the two-week-old Cafe Madras Square, a gallery cafe that makes for a leisurely chat, lunch or shopping break on the ECR. 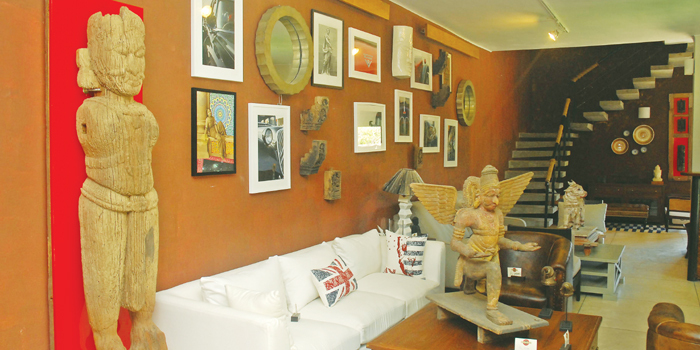 Tucked into a quiet street in Neelankarai, the cafe has a rustic feel a�� imagine yourself far from the madding crowd. Owned and designed by Ram Mohan K and Ramya Gopinath, the interiors of the cafe are inspired by Sri Lankan architect, Geoffrey Bawa, and Auroville architecture. a�?a�?You will find Chettinad pillars juxtaposed with graphic paintings on the cafea��s unfinished brick wall. This place is for people who want to relax, work on their laptops,A� explore and savour art,a�? says Mohan, 48, adding, a�?WeA� studied cafes in Pondicherry, like La Maison Rose and Villa Shanti, to understand food better.a�? Besides an export business, he also owns the Ode Gallery on the East Coast Road. Cafe Madras Squarea��s uncomplicated menu offers a variety of starters like sambusik jabneh, a deep fried pastry filled with savoury cheese and hot sauce, and the fast-movingA�A� potato wedges with peri peri. 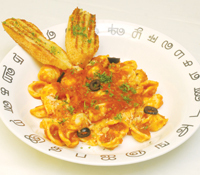 Their main course includes pastas with homemade sauces like pesto, arrabiata, carbonara, Neapolitan and the popular alfredo. Chef J K Madan insists we try their burger falafel that comes with two patties made from minced chickpeas and coriander, with a hummus spread and Tzatziki dip, sandwiched with sourdough bread. The bread, popular among expats, may take a little getting used to. Also on the menu are moussakas, a vegetable au gratin with mozzarella and yogurt cream, and a Turkish variant served with rice. The owners also want to attract seafood lovers with their grilled salmon and interesting fresh catch of the day. a�?We are also going to offer farmed fish. It falls under the a�?farm to folka�� concept. Fishing enthusiasts can bring their catch and we will cook it for them. I agree that line-caught fish is better,a�? says Madan. As for meat lovers, do not fail to taste their tender sirloin served with flavourful sauces and mashed potatoes. We sampled their thick broccoli soup and, as chef Madan points out, dona��t look for milk or cream in it. a�?I call this the country soup or the farmhouse soup,a�? he says before serving the citrus salad, which comes with a mix of romaine and iceberg lettuce, walnuts, arugula and sweet lime. If you like a side of garlic bread with your food, try their pesto toast. a�?We thought it would bring a little change when compared to your usual garlic bread. Pesto is a great attraction,a�? says the chef. Wash all this food down with their fresh juices or their tea and coffee options. a�?We source tea from Havukal and our coffee from Chikmagalur,a�? says Mohan, before the French classic dessert, tarte Tatin, gets to the table. Caramelised apple meets vanilla bean ice cream and hits the right spot. Already popular for classy get-togethers, this is a cafe we hope to visit again. 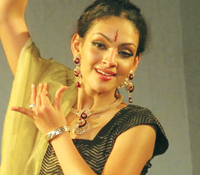 Bangalore-based Rukmini Vijaya-kumar, previously seen in movies like Bomallattam, claims Bharatnatyam helped her play the role of Yamuna in the biggest release of the year, Kochadaiiyaan. Directed by Soundarya Ashwin and starring her superstar father Rajinikanth, the movie has VijayakumarA�A�A� playing Rajinia��s sister. 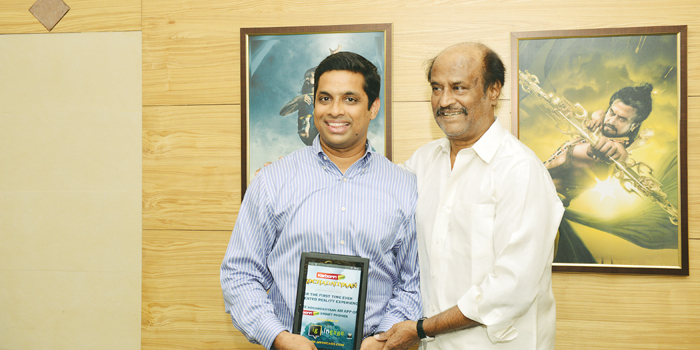 a�?Working in Kochadaiiyaan was like performing on stage. There is no Krishna or pond or jewellery. You assume they exist and perform,a�? she says, pointing out that it was a dream come true working with the superstar. a�?The team was lovely and a scene that would take a week was done in a day. The best part was, as actors, we did not need any dress changes, costumes or make up,a�? she laughs. However, Vijayakumar did get annoyed with the head gear and the suit. a�?It would be so annoying and it would be on your face. I guess everything comes with a positive and negative,a�? she says. Vijaykumar is excited about the release, despite the delay. a�?I have only watched the trailer. I do not know how I look in the film. I am excited to see how an animated me would look on screen,a�? she laughs. Though the actor took a two-year sabbatical from films, she was busy performing around the country. In fact, she has a performance in Chennai this July, but first comes Jacoba��s Pillow Dance Festival and other festivals in the US.A� As for movies, she has another untitled film in Tamil coming up. a�?I do not want to take up too many movies. Even if I do one film a year, it should be right. Anyway, I am always busy with my dance performances,a�? she says. Kochadaiiyaan is expected to release this month. 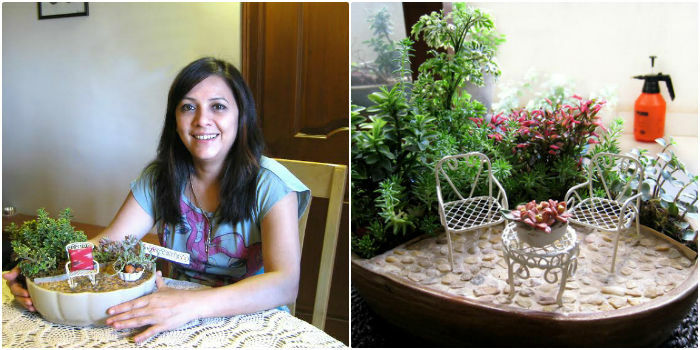 Growing up in the lush green tea plantations of Assam, Gargi Bhuyan, a software professional,A� relocated to Bangalore and found a way to incorporate some of that missing greenery in her apartment. She started with a balcony garden. Blessed with a green thumb, her plants thrived happily enoughA� attracting enough attention and appreciation that she was encouraged to start a blog, sharing tips and information on small gardens meant for the urban dweller. Then she wasA� inspired to downsize even further, creating tiny landscapes that could even fit into a five-inch tea cup a�� gardens that could be pruned with hand scissors and raked with a kitchen fork. a�?Theya��re inexpensive, can be created in a few hours, are accessible for all ages, and appeal to seniors who have had to give up their gardens … theya��re so doable,a�? she beams. 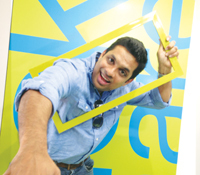 When Vijay Karunakaran decided to quit his job at Intel (as head of design for the ATOM platform) and return to India a couple of years ago, he knew what he wanted to do: start his own company and put his vast knowledge in software and hardware to good use. InGage, which started operations over a year ago, develops gaming, custom software and augmented reality (AR). However, to kick things off, Karunakaran wanted something with a big banga��and what better platform than Rajinikanth and his new film, Kochadaiiyaan. a�?The idea was not just to immortalise the superstar on screen, but also to bring him home with you,a�? says the die-hard Rajini fan. And since no smartphone app is good enough to hold the Thalaiva, he decided to go AR. a�?The Karbonn Kochadaiiyaan app gives you a 4D experience. Just train your phonea��s camera on one of the preset markers that come with it (one of which is the Kochadaiiyaan poster), and Rajinikanth will come alive in the space around you. You can then play games, watch him fight (from a 360 degree angle), make him jump on to your hand and even click pictures with your arm around him,a�? says Karun-akaran, who sold the idea to Karbonn by buying one of their phones, creating a mock-up and presenting it to chairman, Sudhir Hasija. But why Karbonn and not a top-end phone? a�?Almost 80 per cent of smartphone users pick up phones between the range of `4,000 and Rs. 8,000. And I wanted to target this mass,a�? says Karunakaran, who holds an MS in Electrical Engineering from Tennessee Tech and an MBA in Entrepreneurship and Marketing from Duke University. Act. Ia��ve dealt with a relevant issue that few people are aware of. It will be an eye opener for the common man,a�? says the director. Yet another character actor is all set to take on a lead role. Simhaa��who played strong supporting roles in films like Soodhu Kavvum and Nerama��essays the central role in Urumeen. 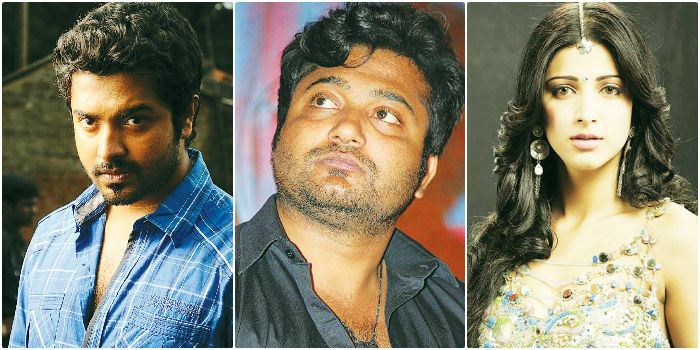 Directed by Sakthivel Perumalsamy, the film is touted to be an action thriller, focussing on the various financial scams that dogged the country in the last couple of decades. After doing a couple of films in Tamil, Shruti Haasan got busy with her Telugu and Hindi projects. Now the actress is back. Currently shooting with Vishal for Poojai, directed by Hari, she has reportedly been signed to co-star with Vijay in Chimbudevana��s next directorial. Seems like wea��ll be seeing more of her this time. AFTER the launch of their personalised wedding collection (from invitation cards to thank you gifts) at Amethyst last month, CherryTin is now ready with a selection of affordable tribal art. The new online art gallery has only original works, both traditional and contemporary. 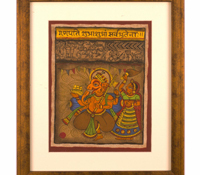 We particularly like the Gond, Phad and Kalighat paintings (tribal paintings of Madhya Pradesh, eastern Maharashtra, and Rajasthan to name a few). While virtual art galleries like Saatchi Art and Artmajeur have been showcasing art for years, CherryTin only focusses on paintings that use traditional techniques with modern elements. This addition to a list that includes home dA�cor, jewellery and customised stationery, makes sense for corporate gifting as well.A� On an average, shipping takes two-four days and home delivery is available throughout India. The good news is that the paintings, when they reach you, are ready to go on the wall. a�?We started the a�?CherryTin gifting on timea�� concept recently through which customers can order their product and choose the time of delivery. This way, the delivery is smooth and the gifts reach on time,a�? says Kanika Subbiah, the founder. For a city that has to wait for Crafts Council of India exhibitions or Dastkar to access Pattachitra from Orissa or mural paintings from Kerala, this website is more than welcome. a�?A realisation that there was a real dearth of places where one could purchase lesser known traditional art forms was the main reason behind creating the online gallery,a�? confirms Subbiah. The gallery has original art work by renowned tribal artists like Ramesh Tekam (Gond artist of Madhya Pradesh), Kalyan Joshi (Phad artist of Rajasthan), and Kailash Chand Kumawat (of Rajasthan), with paintings coming in from Rajasthan, West Bengal and Orissa, too. 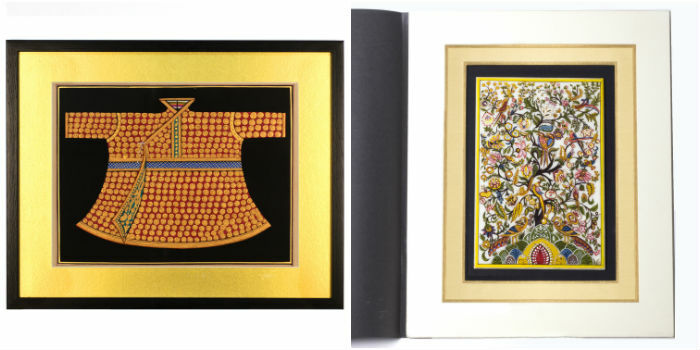 Joshia��s paintings of ancient costumes on stamp paper come with gold work and intricate detail.A� a�?India has many art traditions, and we have just scratched the surface,a�? admits Subbiah, who graduated from Dartmouth College and University of Chicago before returning to India to open her online store. Apart from this, CherryTin has also launched a personalised story book range for kids, where everything from the message to the names of the characters in the story, is customised for the person to whom it is gifted. They are also looking to expand with crib shoes, designer stoles, and coffee table books in the near future. 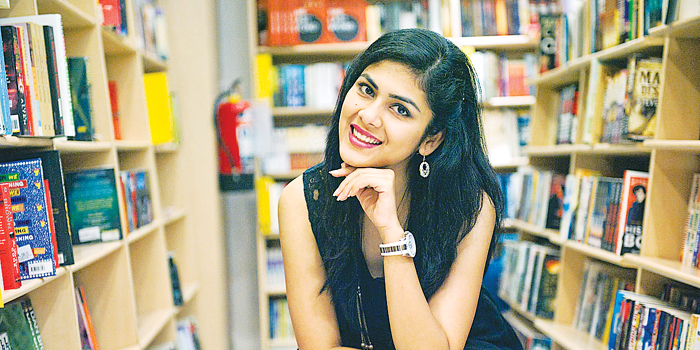 NIKITA Singh had always wanted to write a book. Now, at 22, she has six novels to her credit. Singh was born in Patna, grew up in Indore and Ranchi and is now based in Delhi where she is publishing manager at Wisdom Tree. It was while pursuing her bachelora��s degree in pharmacy that she started writing her first story. The author of novels like Accidently in Love, Love @ Facebook and The Promise also co-authored Someone like You with Durjoy Datta last year, after their immensely successful prior collaboration, If Ita��s Not Forever Ita��s Not Love. 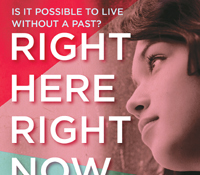 Her latest venture Right Here Right Now is about a teenage girl who loses her memory and needs to find herself. 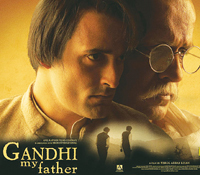 Singh, who favours romance and fantasy, also has keen interest in history. She is a regular speaker at TEDx conferences in colleges across the country. Her advice to aspiring writers? a�?Ita��s a good time to be a writer,a�? she says. a�?Ita��s becoming easier to get published but also that much easier to get lost in the crowd.a�? Connecting with the readers and giving a compelling story they can relate to is always paramount. She urges intending writers to write from the heart and not worry about critics or sales, what other people are saying or doing. She maintains that an honest, heart-felt story, which seeks to impress no one, is what will really cut through the clutter.A�A�A�A�A�A� a�?Dona��t give in to doubts,a�? she says. a�?Dona��t try to satisfy anyone out there by cobbling together a story that you think they want to read.a�? IF YOU are piqued by all things natural, The Leela Galleria is where you should head today. Apparao Galleries, in association with The Leela Palace, is hosting a Yarn Club talk on red textile dye and the chay root diggers of Ceylon. 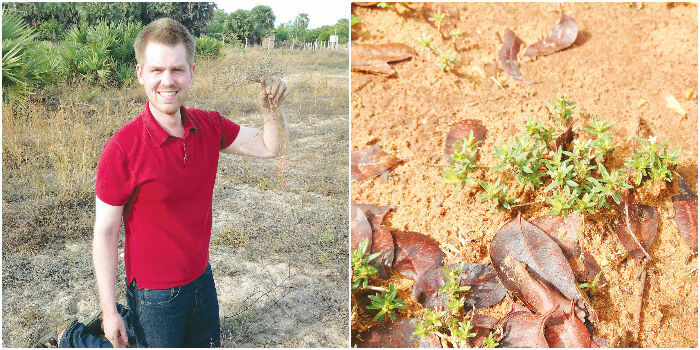 The speaker, Mark Balmforth, a doctoral candidate from Columbia University, New York, has been researching the social history of the Jaffna Peninsula, since 2010. a�?The dye (or chay) root diggers of Ceylon were a little-known community that survived for centuries picking a root still common in the coastal regions of South India and Northern Sri Lanka,a�? he shares. This root was used to produce a red and purple dye that earned significant income for the Dutch and early British colonial governments. Balmforth shares that in addition to exploring the mystery of the communitya��s near disappearance, his talk will look at a�?what we know about the processes of root collection and dyeing, as well as see some of the materials used.a�? When compared to indigo, turmeric, and other natural dyes, little is known about chay. a�?We have not been able to reproduce a finished product with it,a�? he points out, adding that the historical references to chay are intriguing. a�?There is something unique to dyeing with chay that was known to make the cloth it dyed stronger and lasting. Historical accounts also say that the colour became richer and deeper over time and in contact with the sun.a�? However, these characteristics are little understood and will require further research. While indigo is going through a revival of sorts, textile experts like city-based Dr Bessie Cecil (who is working on the revival of chayA� root dyeing) feel that there are other plants whose use has declined. a�?According to Thomas Wardlea��s Specimens of Fabrics Dyed with Indian Dyes, there were a number of indigenous plants used for dyeing. 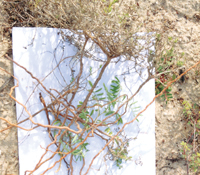 This is the only surviving record, with the natural dyed samples of silk, wool and cotton in the world, at the Botanical Survey of India, Kolkata,a�? says Cecil, who adds that the eco-system and quality of water play a vital role in natural dyeing. That said, as far as the best natural dyes from India are concerned, a�?the colour palette was always red and blue, particularly on cotton. Blue is from the plant indigofera, widely researched and proved scientifically, whereas red is not researched as much. Indian dyeing craftsmen knew the secret of fixing the red dye to the cotton, which still eludes the world,a�? she concludes.